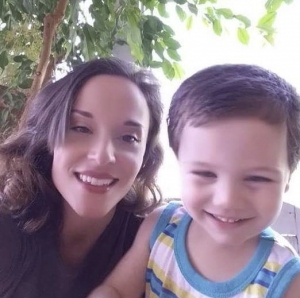 The first words out of 2-year-old Zacchiah’s mouth were a surprise to Rena Silva – she took him and his 1-year-old sister in when CPS removed them from her son’s care. Perhaps it’s the education he’s gotten from his time in Y daycare—he can count to 10 in two languages. “When life seems impossible, Adonica prays over us,” Rena said. Adonica is a staff member at the YMCA who helped Rena navigate through the government when her two grandchildren were displaced from their father’s home and needed a place to stay. She now has permanent custody. “I say this from my heart, the Y staff truly loves, teaches, and protects my kids,” Rena said. 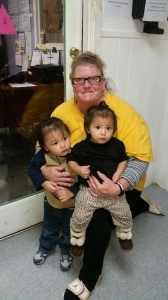 In addition to the YMCA’s help to link Rena to services she needed – this grandmother received help with an emergency care scholarship for childcare. “Without the mercy and grace of God and the Y, my grandchildren and I wouldn’t be together and making ends meet,” Rena said. Their struggle is now a story of success as the Odessa YMCA Education Center has not only taken care of the two children – but helped them blossom in the classroom. Faith is also shaping Zacchiah and Zyanna’s experience at the Y. Her kids now pray before they eat. “My kids love these people,” Rena said. 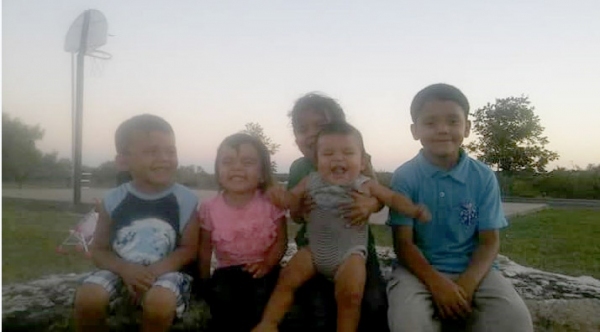 Elizabeth Viera never thought the Odessa YMCA is where her four boys would learn how to pray. She also didn’t think the Y would be her solution to balancing work and caring for her children. The YMCA Make-A-Difference Scholarship more than lived up to its name for her family—not just financially, but because of the care her and her family receive from the Y on a daily basis that makes all the difference. But more than the food and fellowship – it’s words of support that Elizabeth heard from role models like Vicky at the Odessa YMCA. The simple encouragement made all the difference for this struggling mother-of-four. “The staff noticed my boys did not have enough clothes,” Elizabeth said. The solution? The Y worked together to connect her with services in Odessa that could provide clothes for her children. Most importantly, the faith taught, lived and displayed at the Odessa YMCA stands out. “The Y has taught my children how to pray. The Y has taught my children about Jesus. I love that,” Viera said. For her family, the Odessa YMCA means more than you will ever know. Grandma Jeanie Gibson is so thankful the Y was there when she needed them the most – she had no idea she’d be raising her grandson KJ. It was unexpected. For KJ—that support system means getting help every day from the YMCA Child Learning Center with his numbers, colors and letters. 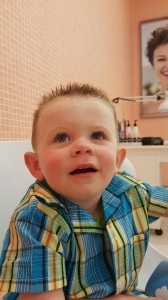 It also means special support for KJ – they back up his crucial speech therapy that he receives elsewhere. That confidence developed at the YMCA gives Jeanie peace of mind each day. Like many working parents and grandparents, Jeanie doesn’t get off work until 7 p.m.
“No other daycare accommodates my hours,” Jeanie said. You see, the YMCA offers early morning drop-off (as early as 6:30AM) and late pickup (as late as 9PM) at its learning centers. The process was also simple. “From the first day, Diana helped me with all forms and applications. She not only walked me through filling out the Odessa Family Y daycare forms but other government forms for further aid. I was relieved and put at ease in a very stressful time,” Jeanie said. The YMCA Make-a-Difference Scholarship is what helped make this experience—and others—possible. Because of the program, KJ comes and goes each day at the Y with a smile. “The teachers are amazing and always smiling. Everyone at the Y knows KJ by name and greets him as we enter and walk through the halls,” Jeanie said. With 5 children, one single dad in Odessa was struggling to make ends meet and provide care for each of his children, all under eight years old. Robert Flores was able to give his kids the care they deserve with a YMCA Emergency Care Scholarship until another service kicked in. But that doesn’t mean his kids weren’t treated like rock stars at the YMCA Learning Centers. But it’s more than just caring for the kids. The YMCA also offered a shoulder to lean on for Robert as he transitioned to being a single dad after his children’s mother left the home. Robert said the YMCA staff is patient and truly cares for his family. Like many Odessa parents, Chelsie Montgomery dreams of giving her child a better life. She loves her son, Klein, but was faced with tough choices when it came to childcare and its traditional operating hours. She is a student at the University of Texas of Permian Basin and also works full-time to provide for Klein. When she discovered the Odessa YMCA's night-time care, it was an answered prayer. She's relieved that she doesn't have to worry about her 2-year-old son Klein while she's hitting the books. "The staff takes such great care of my Klein," Montgomery said, adding that his teacher Bianca always has a smile. But it's not just the Odessa YMCA's level of care--it's what Klein is learning that has her impressed. "They are teaching my child and getting him school ready," she said. "The Y has already taught him all his ABC's and he's not even three." Ms. Montgomery is one step closer to providing the life she has been tirelessly working toward as she will graduate this summer from UTPB with her bachelor’s degree. 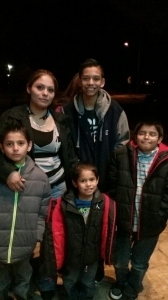 YMCA members, Jessica Enriquez, and her two children, Izeyah and Illijah, fell on difficult times after she lost her job. This made it difficult to cover the cost of daycare for her children. It was a blessing that she became aware of the Emergency Care Scholarship at the Odessa, YMCA. Once approved, the scholarship allowed her to be at ease as it covered the financial gap until she received her first paycheck at her new job. 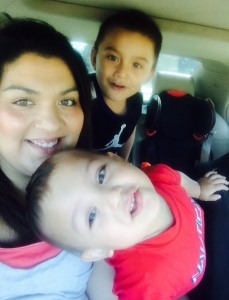 Nervousness and anxiety filled Jessica as she placed her children in a new facility and worried paying for the YMCA daycare since she was waiting on her first paycheck. But that anxiety quickly turned to happiness. "It was the best thing that happened to me,” she said. “I have a job I love and my children are being taught and cared for." Within a few months, the YMCA’s scholarship and daycare center allowed Jessica and her children to return to a happier, more-enriched life. "The kids have been learning a lot,” she said. “Izeyah and Illijah are interested in books because their teachers read and sing to them daily."